This collection bag has been commissioned and produced by Southern Cross Church Supplies. All the components (metal frame, wooden handles, velvet bag) are sourced from local craftsmen, and are of excellent quality. 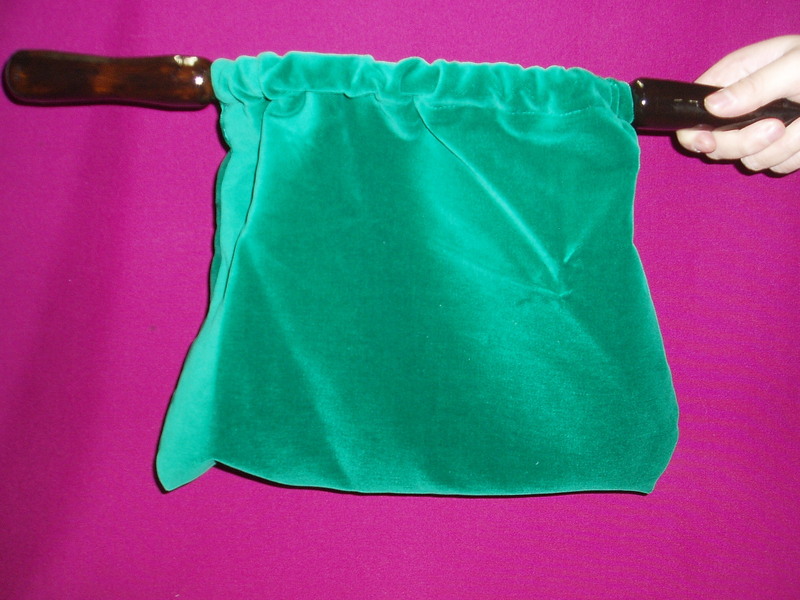 The velvet bag can be commissioned in different colours such as red, blue and green. Please contact us to place an order for your specific colour requirement. Please note that this product may not be available for immediate on-line purchase because of the the need for customers to specify the colour of the velvet. Please contact us to place an order. Please note that as of July 2016 we have stock of green and red collection bags. The bag measures 50 cm from handle to handle (the bag itself is 24 cm long); the bag depth is approx 25 cm.